A few weeks ago, Allison Wright and her job coach walked into Extraordinary Ventures with beautiful frames and ornaments that they were interested in selling. 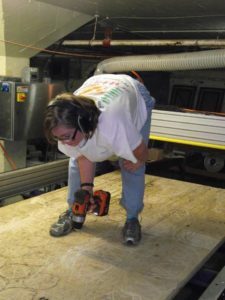 As Extraordinary Ventures only employs individuals with autism and developmental disabilities, our first concern was that Allison was creating these incredible frames herself. The following week, we traveled to her workshop in the restored Eno River, in Hillsborough North Carolina. There, we were introduced to Allison’s craftsmanship and work ethic, it was really inspiring. 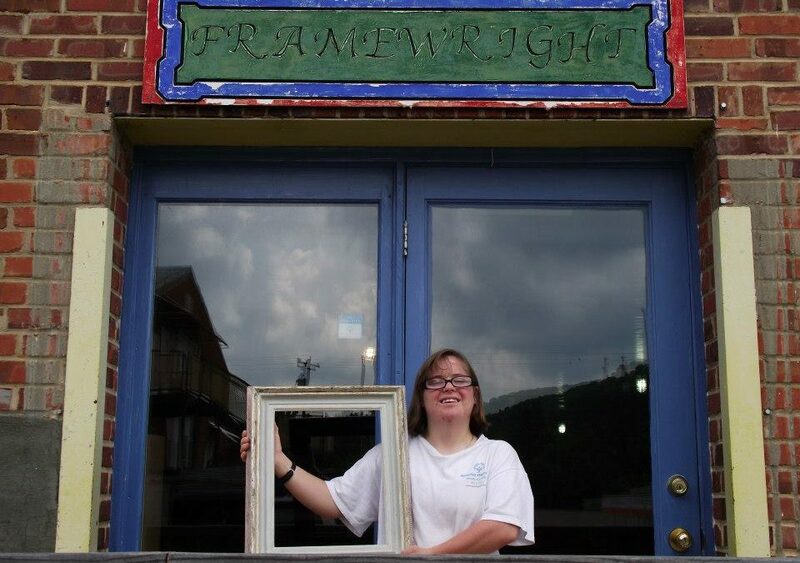 Allison Wright is the owner of FrameWright; a 12 year old micro-enterprise located in the restored Eno River Cotton Mill, Hillsborough, North Carolina that specializes in antiqued frames. Allison is the first adult with developmental disabilities that Extraordinary Ventures has partnered with to sell goods on the site. Together with her father and alongside other artisans, Allison produces one-of-a-kind hand crafted crafted mirror frames, small ornaments, and chalkboards. All these items are finished using old world techniques. Frames of this caliber are frequently found in art museums such as the North Carolina Museum of Art, and esteemed galleries around the Triangle. These techniques use rabbit skin glue, gesso, piedmont red clay, application of gold, silver and common metal leaf (brass, copper, aluminum, variegated); shellac made at the workshop, color pigments and casein paint. In the coming weeks we are excited to share Allison’s work with the world. We will be rolling out her custom made frames individually; giving them the spotlight they truly deserve.